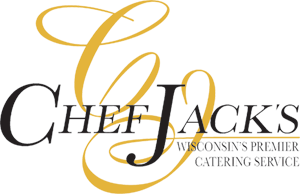 “Amazing food!” Those words are what every bride and groom want to hear, and a key factor when choosing the entrée for the wedding dinner. It’s always on the back of your mind. This is your chance to make a splash, and your special day is the right time to do it. You don’t have to be a self-proclaimed “foodie” to sift through the options for an entree that your guests’ll gush over—but it is helpful to have an idea of the flavor of the evening. 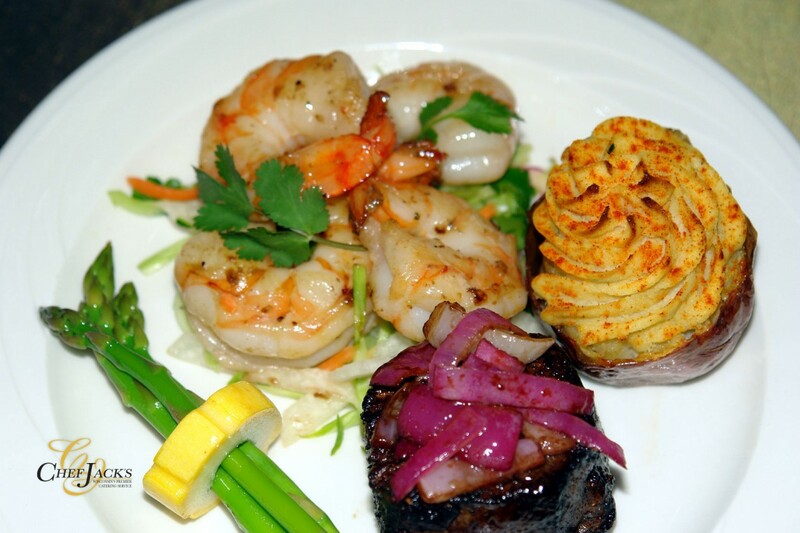 Your main course entree plays a key role in creating the right wedding reception atmosphere. 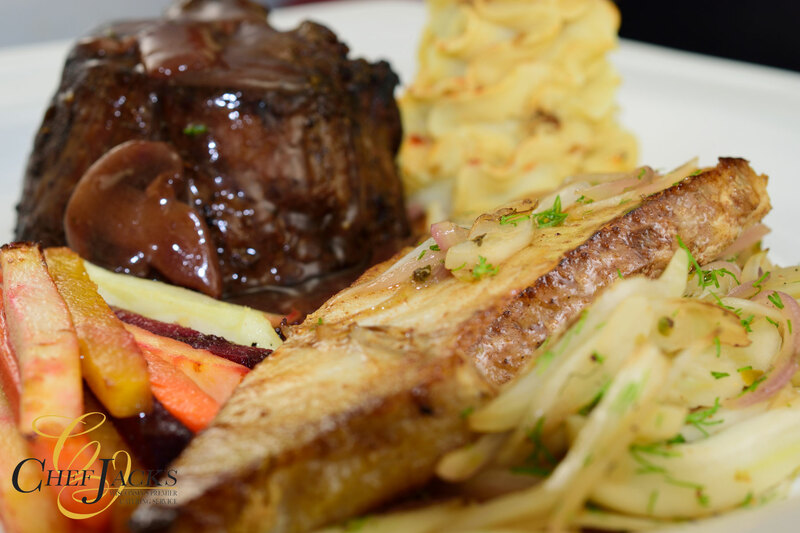 Choose carefully from the options, or place the decision in the hands of the professionals who can assist you in choosing the right entree that will make your guests’ mouths water. 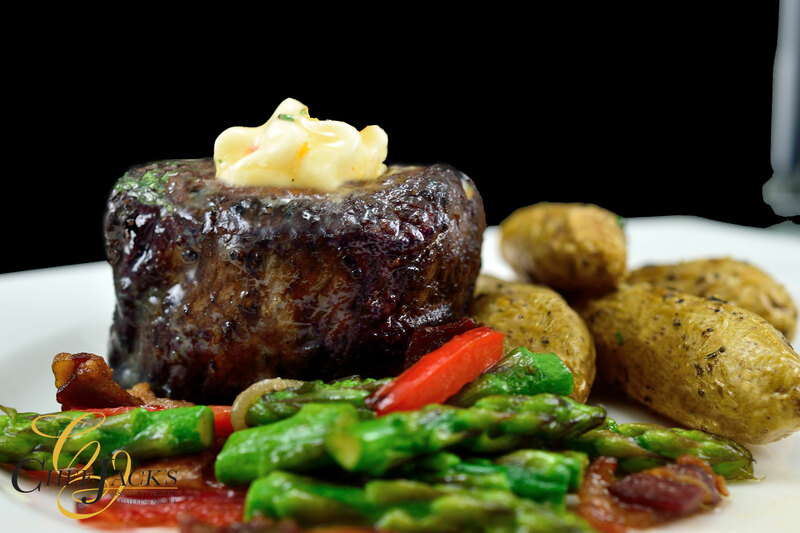 The perfect filet is an art form; the perfect filet mignon customized for your wedding atmosphere is a match made in heaven. 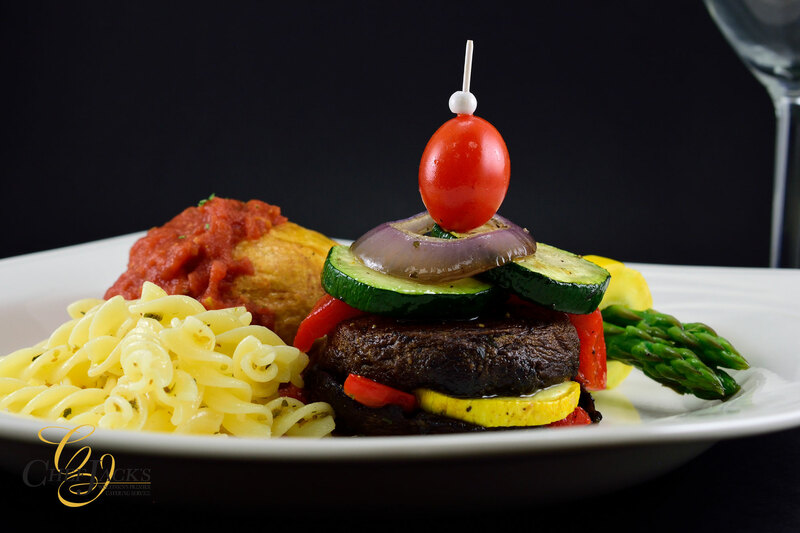 For an Italian dinner, pair a crusted filet seasoned with Italian spices and topped with red wine sauce with a linguine pasta nest tossed in olive oil with Italian spices. 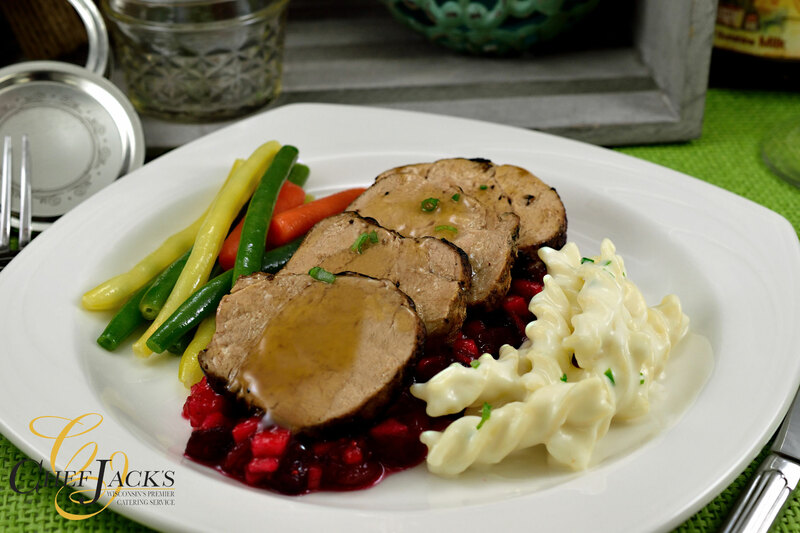 For a classic winter wedding menu, talk to your caterer about a Herbed Filet with Wild Mushroom Demi-Glace. A wedding is a celebration that can feel as big as Mardi Gras, and as hot as a night in New Orleans. 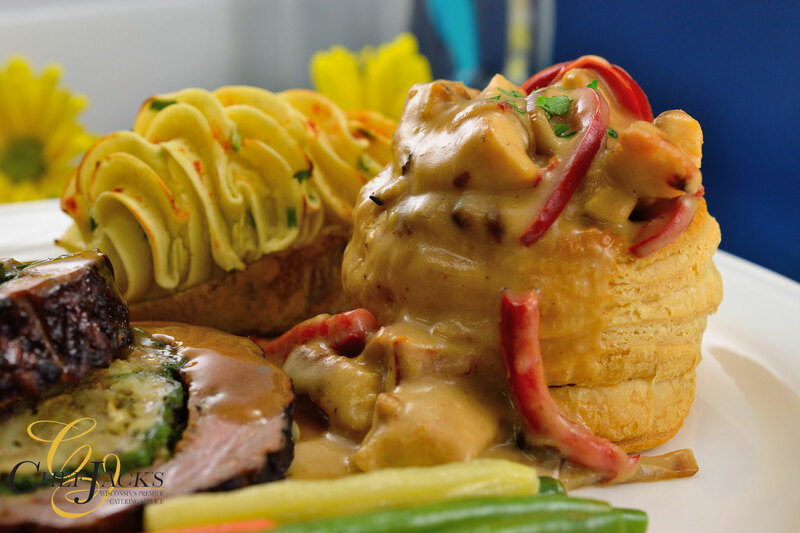 Try our chicken etoufee with a spicy cream sauce in a pastry shell and watch the night take on a flavor of its own. Savory is the only term that adequately describes this tasty pastry. 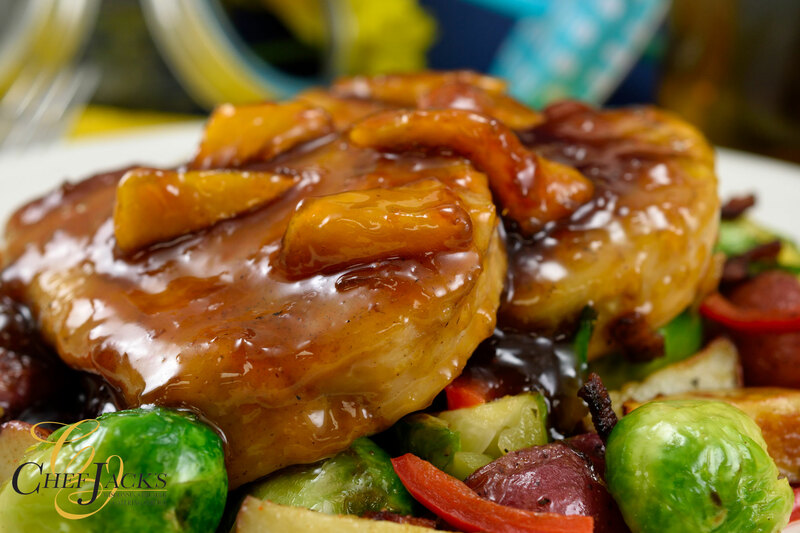 Filled with a variety of sauteed squashes and onions, wrapped in puff pastry, and topped with marinara, the taste and texture is enough to make your non-vegetarian guests forget that there is no meat in this hearty entree. A portobello mushroom prepared to perfection is a delicacy that can please the palate and any vegetarians (and non-vegetarians) in the crowd. 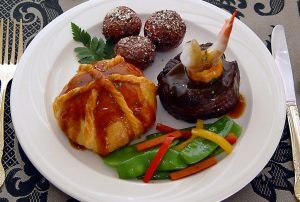 Grilled in olive oil and topped with onions and assorted vegetables, this entree marks any event as a special occasion. Shrimp sauteed with orange and lime glaze atop jicama slaw goes perfectly with a summertime wedding atmosphere—or establishes the feel of a beach wedding even when the temperature dips below freezing. An Orange Alaska may not be a candidate for a main course, but this signature dessert is the main focus of any reception. 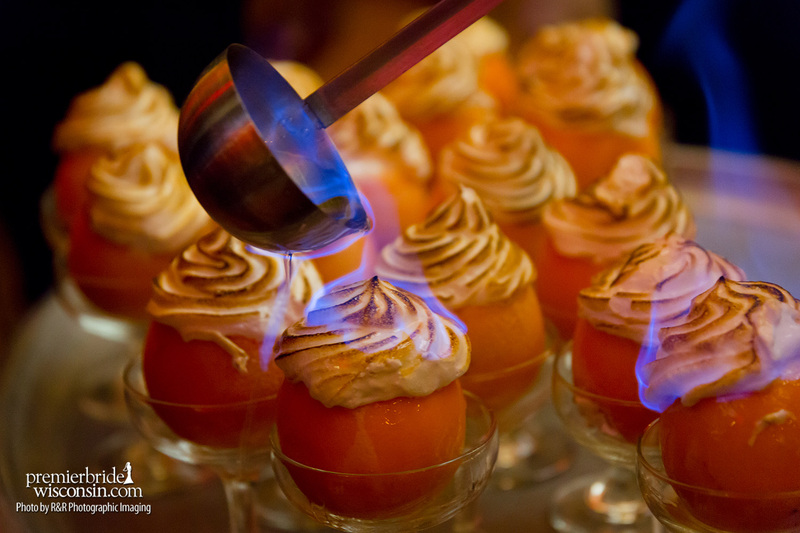 The flames leave your guests in awe, and impressed by the fresh flavor that comes with a Florida orange filled with French vanilla ice cream topped with meringue and flamed with Gran Marnier. This dessert is a conversation starter at the dinner table and for months after your wedding dinner. Contact us for more wedding entree ideas.